Audrey has extensive experience of leading organisations as well as working with leaders and top teams as a Coach and Consultant. She is particularly valued for her work developing authentic leaders as well as in service improvement and person centred health and care. She works with honesty and integrity to enable people to realise their leadership potential in challenging and complex contexts. Audrey has a deep interest in people and brings that drive to all her work. Fundamentally it’s about relationships and her commitment is to be fully invested in the relationship to enable the coachee to get the outcomes they want for themselves. You can expect a supportive environment alongside robust challenge that means both hard work and tangible, often life changing outcomes. People experience her as quietly determined, clear thinking and inspirational with a deep and evident commitment to helping people and organisations to achieving their potential. She brings her curiosity, skills and experience alongside her humour and humanity. Her approach is an integrated one drawing on person-centredness and a gestalt approach as part of this. MSc, BSc, RGN, Dip HV, Dip Gestalt in Organisations, Cert in Coaching Practice. Audrey’s professional career started as a nurse and it was there her ability to build facilitative relationships was developed. She has extensive experience in setting up and developing teams and organisations in challenging environments. She has been described not only as visionary but also a force to be reckoned with. She has had leadership roles in leading charities, been a finalist in the female director of the year category with the Institute of Directors and throughout that time grown her experience and interest in coaching as well as organisational development. Whilst working as an executive director she studied for a Diploma in Gestalt in Organisations and subsequently for Certificate in Coaching Practice both of which enhanced and affirmed her extensive skills and experience. 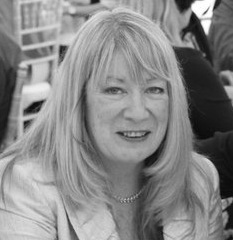 Her clients include Scottish Government, major charities UK in London and Scotland, Oasis School of Human Relations in Yorkshire and public sector organisations particularly in Health and Social Care. You can see more from Audrey at her website and read her blog here.